As you will see by reviewing the preliminary agenda, the ISRS 2019 scientific program is primarily built through the abstract submissions of your peers throughout the globe. 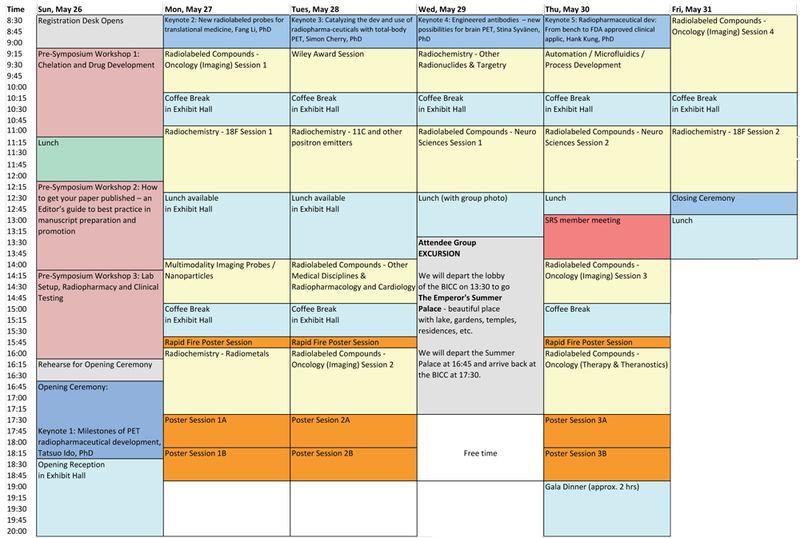 Except for the five keynote presentations and the pre-symposium lectures, all other sessions are constructed based on the peer-reviewed research of your colleagues. The ISRS symposium series has a long and treasured history of providing valued interaction between colleagues throughout the world. A team of internationally-respected leaders within the field will guide program development. Scroll down to see the list of colleagues which comprise the Scientific Program Committee. Newcomers to the meeting will be impressed by the collegiality of ISRS attendees. They genuinely enjoy the education and rich opportunities for social interaction. The poster sessions are filled with learning and laughter; relationships are formed and renewed. Please return to the website periodically for more information. Clicking this agenda image will enable an enlarged view. Prof. Tatsuo Ido (Gachon University) will present our President’s Award lecture on how pioneers require a spirit of determination and challenge: milestones of PET radiopharmaceutical development. .